It has been about a year since we last had you on our cover. What have you been up to? I guess life has been moving at a very fast pace. I just turned 23, and besides touring my new concert 22PLUS, I am about to finish filming a reality TV performance show in China. It is my first time [doing such a show], and it was challenging because we had to come up with a new song every couple of weeks. That meant writing lyrics and melodies and doing arrangements while I was touring, so there was a lot of pressure. Let’s talk about your latest album. How would you describe it? I wanted to tell my fans what the future “Eric Chou” is going to be. The third album for every artist is important because it represents your brand, your style, and where your passion in music lies. For me, it is not going to have traditional ballads like in my first two albums; you are going to hear a lot of EDM. Which is something we’ve picked up. I thought EDM was just club music, which is boring. Then I heard Closer by The Chainsmokers and Martin Garrix’s So Far Away. They have the same ballad vibe, but arrangement-wise, they are more interesting than traditional sounds. There are a lot of rhythm and ear-catching sounds, which makes the music cooler. How has the reception to this new musical direction been so far? When I released the first song from my third album, Without Her, people in the industry were shocked that it was so different from my usual ballads and I felt extremely happy because that was what I wanted – not be stuck with the label “Eric Chou, ballad singer”. I actually make different kinds of music in my downtime; people just do not get to hear it. How do you balance that with giving fans what they want (ballads)? In all my albums, you will see two names: “周興哲” and “Eric Chou”. They represent the types of music I want to do. “Eric Chou” is the “me” that listens to Western music, that went to the US to study when I was 11, and “周興哲” is what people are used to, what fans love – the ballads. 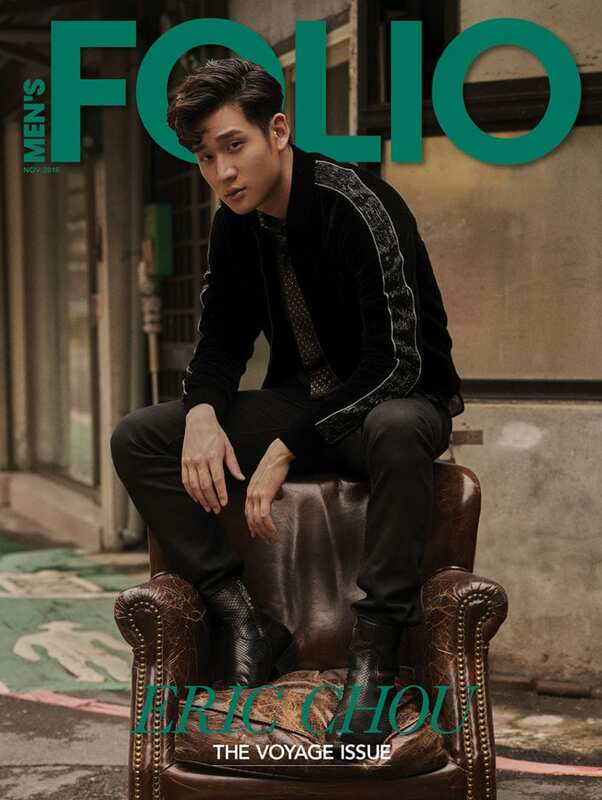 Full exclusive interview with Eric Chou in the November’18 Voyage issue of Men’s Folio. Just like that, we leave the boisterous festivities of Chinese New Year behind and head fully into February with a replenished ban ..
His first heartbreak, not loving piano lessons, and being a new Justin Bieber fan. Rising Taiwanese singer Eric Chou says it like ..